Finding the right vehicle means enhancing your Dawsonville drive and finding the right new vehicle special means saving money on that vehicle. Browse our inventory of new vehicles to find the Honda model that’s right for you and look through our new vehicle specials to save more. Once you find a good match, visit us at Lou Sobh Honda or contact us to learn more before making the trip to our dealership for a test drive. White Orchid 2019 Honda Ridgeline RTL-E AWD 6-Speed Automatic 3.5L V6 SOHC i-VTEC 24V Black Leather. Once you’ve decided on the Honda model you love, browse our available specials and get ready to drive off the lot in the Honda that’s right for you and your budget today. 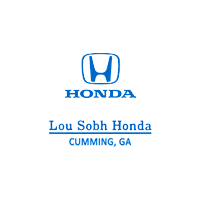 Contact us when you’re ready for a test drive or if you have any questions before making your way to Lou Sobh Honda near Alpharetta.